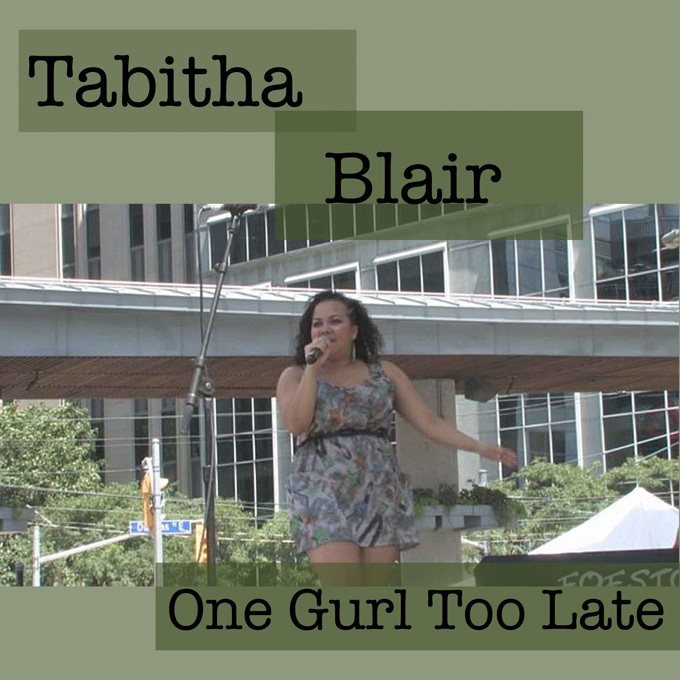 Tabitha Blair's CD "One Gurl Too Late" Finishes Production! Present version of the cover. A work in progress! Tabitha Blair's EP "One Gurl Too Late" has finished production. The CD is her first with FOF RECORDS and includes tracks performed at FOFSTOCK, a one day music festival put on by FOF at Toronto's Yonge-Dundas Square back on August 1, 2011. The tracks are produced by Swurv who is no stranger to FOF having collaborated in several FOF productions in the past. There are four tracks on the CD. Congrats to Tabitha Blair on her new CD!